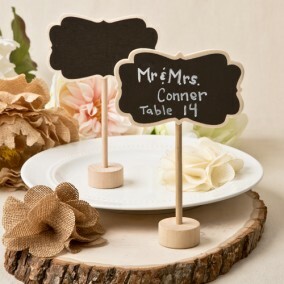 For a great old-fashioned touch, use these rustic place holders to mark your table numbers and guest names. 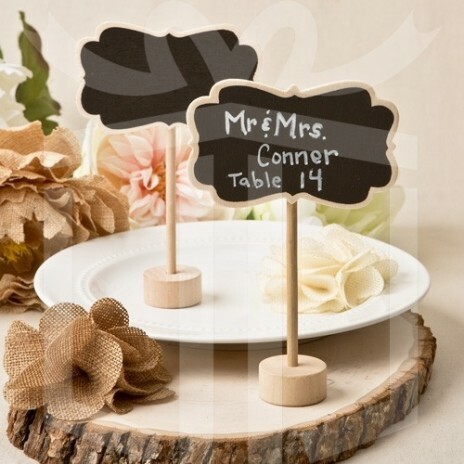 They have a beautiful natural wood finished border in a plaque shape that holds a black chalk board. The board stands on a natural round wood base. 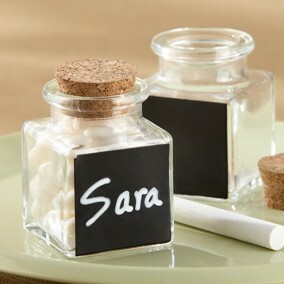 Get real chalk and have a ball writing up the names and table numbers! 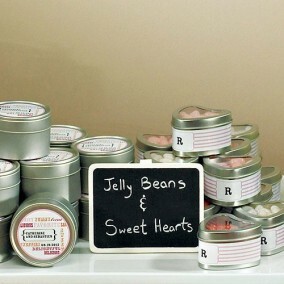 Use with loads of burlap and wooden bark to adorn your tables for a perfect finish. 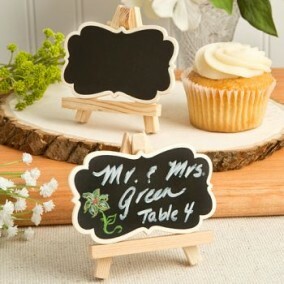 Your guests will be thrilled to find their names on these adorable little chalk boards. 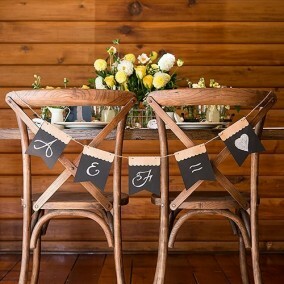 A fabulous rustic idea for seating assignments, table numbers and personal welcome messages!